When a local couple decided to tie the knot in Riley Green, near Blackburn, it was not only the start of a happy marriage, but the spark of a business idea for the father of the bride. Rather than pay dead money for a fancy hotel or country house, he decided to create his own magical wedding venue for his daughter by purchasing a stunning set of marquees. 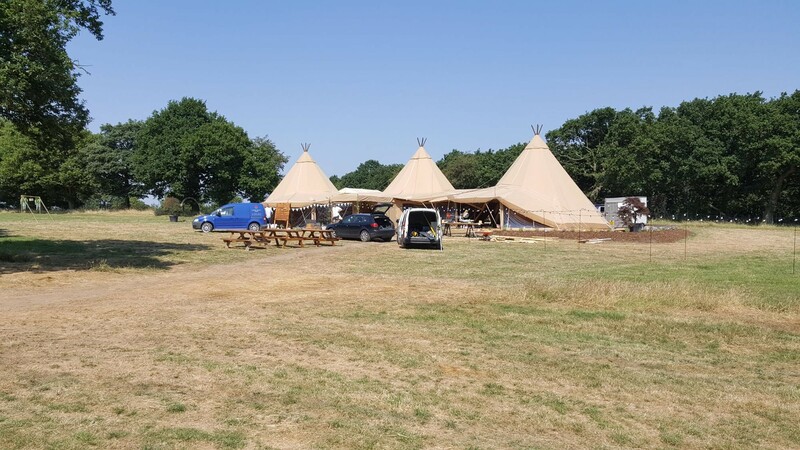 The three tall teepee-style tents were interlinked with walkways to create a unique three zone venue, delivering something truly special for the big day. The only problem was how to power it. Weddings are remarkably power-hungry events, with everything from caterers to computers sucking up the juice. Add in the sound system for the speeches, the speakers and lights for the band and disco, as well as the heating and air conditioning throughout the day, and you need a serious supply to keep everything running smoothly. Fortunately, Central Power Services were on hand with a portable generator to make sure the happy couple got hitched without a hitch. Our unit ran all day and long into the night guaranteeing an uninterrupted supply of electricity, despite the rural location. In fact, the event was such a success, that the bride’s father, has decided to hire out his marvellous marquees for weddings and other social events in the future. 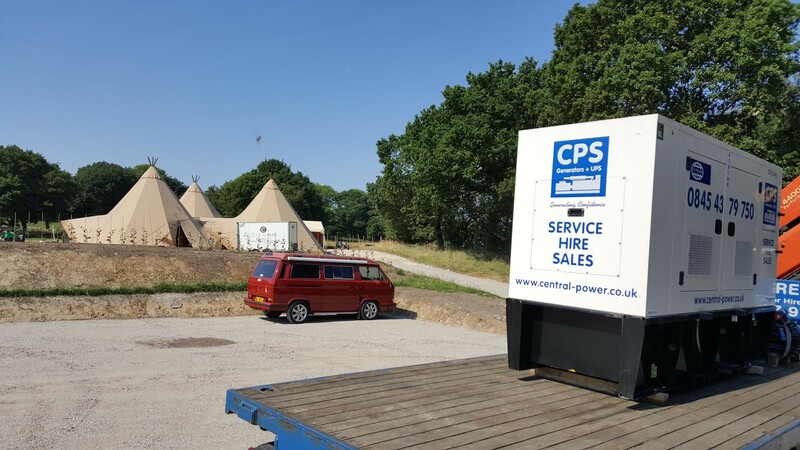 Whoever his next guests are, you can be sure that the CPS generator will be running discreetly in the background keeping the lights on, the music pumping and making sure everyone has a day or night to remember.